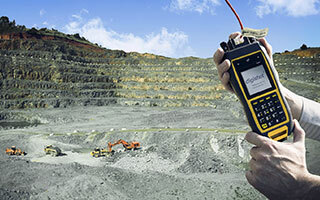 When South African mining technology pioneer DetNet chose to implement boundary scan test throughout development and production, to boost productivity and increase test coverage, the company’s engineers scrutinised the leading platforms on offer to select the system offering the best features, usability, and customer support. XJTAG was the clear winner. XJAnalyser is a graphical application that helps engineers interact with the circuit under test. It helps speed up debugging, and can program devices with SVF and STAPL files thereby saving the cost of additional programming tools. By providing a graphical view of the boundary scan chain, XJAnalyser enables engineers to visualise the circuit and set or toggle individual pins to trace any problems such as shorts or opens. The XJTAG platform also includes the XJDeveloper test development environment, which helps setup and run tests on the circuit. Common tests such as connection tests and memory tests are built in, and XJDeveloper also facilitates storing and reusing tests throughout product design and manufacturing, as well as in subsequent projects. This saves considerable time and development effort. DetNet is also using XJTAG as part of its production testing schedule, taking advantage of the XJRunner system, which is optimised for use on OEMs’ or contract-manufacturers’ production lines. XJRunner enables simple, secure and audited testing and allows bootloader programming. Features include graphical schematic and layout viewers, support for batch testing using multiple XJLink connections or the four-port XJQuad, and tools to help analyse board statistics and fault trends. The high level of support provided by XJTAG has been key to helping us achieve the best possible performance from the system. XJTAG has all the features we need, and the graphical user interfaces helps make it the easiest system to use. We knew we could become productive very quickly. Features such as XJAnalyser have helped us to save time and significantly increase test coverage from the early stages of product development. We can isolate faults quickly and precisely thanks to colour-coded graphics, and we can also test BGA connections with a higher level of confidence than ever before. DetNet is a world leader in the innovative design and industrialisation of electronic initiation systems for use in the mining industry. These systems enable DetNet’s channel partners and end users to optimise their blasts through accurate timing and control. The reliability and flexibility achieved through electronic control, combined with the high quality of DetNet’s engineering, helps clients stay ahead of increasingly stringent regulatory, safety and environmental demands.